Private swim lessons are available for any skill level and any age. Separate from group lessons, they are based on instructor availability and can be set up any time the WRC is open. Lessons are 30 minutes in length and set up in one participant to one instructor ratio. Children must be at least three years old to enroll. We are no longer accepting private lesson requests for the remainder of this semester. If you are wanting to start private lessons in the summer please fill out the form at the beginning of May! Please email swimlessons@uni.edu for any questions or concerns. 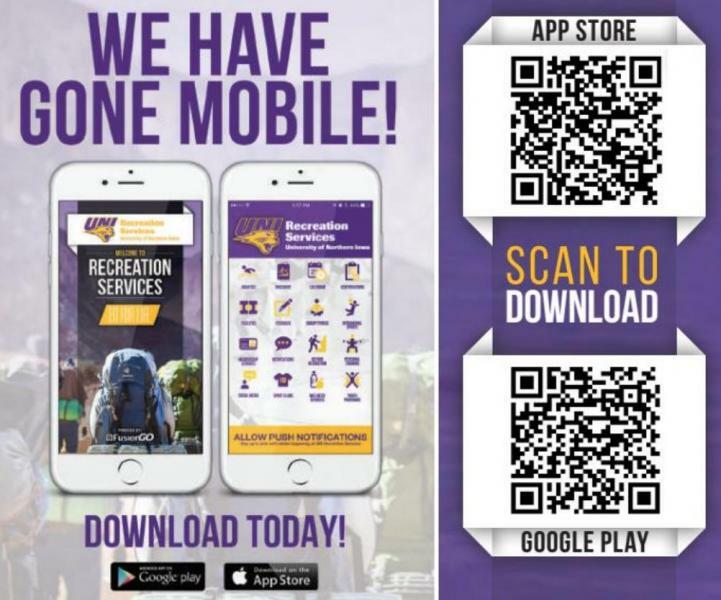 For more information regarding all Recreation Services has to offer, Download the Recreation Services on the Apple App Store or the Google Play Store. Feel free to purchase for packages on-the-go on your smart phone! See packages for private swim lessons. In order to see these, you must create a fusion account and be logged in. If you would to know more information about the packages contact swimlessons@uni.edu . Instructors are not guaranteed and will be assigned based on availability. Due to administrative fees, you will not receive a full refund.